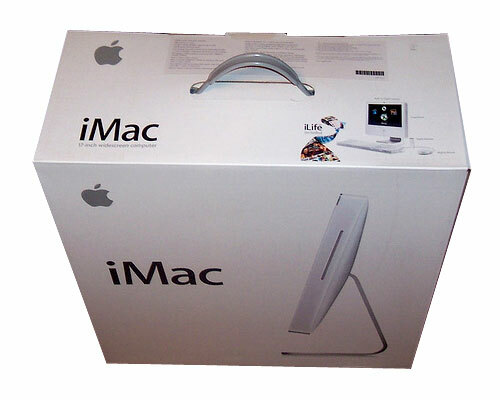 Original box for the 17" white Intel iMacs. Contains all the polystyrene blocks. The box is in good strong condition.